As a credit union member, you are not a customer but a member/owner of our financial cooperative. We call your savings shares, and interest earned is called dividends. Share accounts and dividends work the same as traditional savings accounts with interest and are also federally insured. A minimum $5.00 deposit opens the door to all the member benefits Golden Circle Credit Union offers. Holidays are more affordable with regular savings today. We have flexible savings and payout options. This is our Money Market style account with tiered rate dividends which offer additional earnings compared to Regular Share Savings. Saving for a specific goal or just want to keep some money separate for a rainy day? We have numerous separate share accounts you can use for any savings purpose. 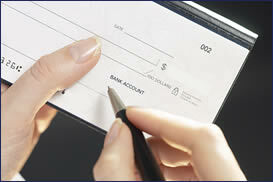 Golden Circle Credit Union has several types of Checking accounts with different levels of service. This account includes no transaction limitations or requirements, free Virtual Branch Home Banking, free Electronic Bill Pay, free Mobile Banking with Mobiliti, and ATM & Debit Card access. This account has a $4.95 per month service charge which is waived for accounts that maintain a $500.00 account relationship. This account includes all the features of Basic Checking and in addition, pays monthly dividends. This account has a $5.00 monthly service charge which is waived if the Golden Checking account maintains a $1,500.00 balance. For as little as $1,000.00 we offer Share Certificates with competitive rates and terms from 6-60 months. These are also available as both traditional & Roth IRAs. We also have periodic special certificates which offer top dividend rates with varying terms. These are also available as both traditional & Roth IRAs. 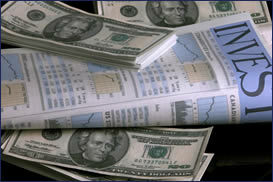 Depositing $50,000.00 or more, we offer even higher dividend rates which are set weekly to give you the highest returns. These are also available as both traditional & Roth IRAs. An Individual Retirement Account (IRA) is a savings account that is designed to help you save for retirement by offering tax advantages. There are two different types of IRAs: Traditional and Roth. Roth IRAs offer no deduction for contributions, but your investment earnings are tax-free in retirement. Traditional IRAs can provide a deduction for contributions so you can defer taxes on both income and earnings until funds are withdrawn, typically in retirement. See you tax advisor for more information including details about eligibility. 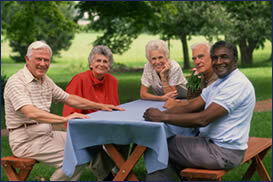 Start your retirement savings with a minimum opening balance of $100.00. This account is great for periodic savings through direct deposit or payroll deduction. This account is available for both Traditional and Roth IRAs. For higher balance savers, this account offers tiered dividends that grow with your balance. This is an easy way to maximize your IRA contributions. This account is available for both Traditional and Roth IRAs. For as little as $1,000.00 we offer Share Certificates with competitive rates and terms from 6-60 months. These are available as both traditional & Roth IRAs. We also have periodic special certificates which offer top dividend rates with varying terms. These are available as both traditional & Roth IRAs. Depositing $50,000.00 or more, we offer even higher dividend rates which are set weekly to give you the highest returns. These are available as both traditional & Roth IRAs. Stop in or call for details for each account type. 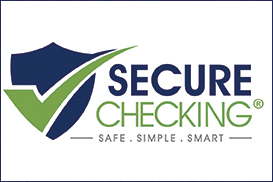 All Savings and Checking accounts with Golden Circle Credit Union are able to receive Direct Deposit or Payroll Deductions and are accessible with an approved ATM Card (or VISA Debit Card for Checking). Virtual Branch, our home banking program, is available for all our accounts. Conditions, fees may apply. All accounts are Federally Insured to $250,000.00 by NCUA, an agency of the US Government.